The Lexington Public Library is growing...SMALLER! Readers are everywhere, so books should be everywhere. That’s the idea behind the Lexington Public Library’s initiative to make reading more accessible to the community — the Tiny Library program. A Tiny Library is a miniature community center for sharing books. It’s hyper-local — right in your neighborhood — and it’s free, easy and fun. Want to help? 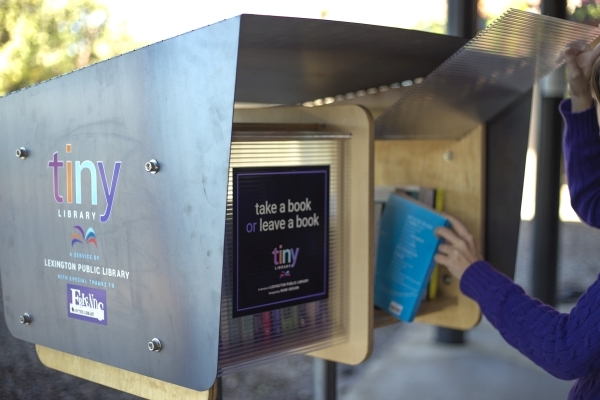 Donate books to any Lexington Public Library location – or just leave them in one of our Tiny Libraries for others to enjoy! All genres and reading levels are encouraged. If you have any questions, please email tinylibrary@lexpublib.org.